I am on an expedition to find myself this year. That means travel but it doesn’t necessarily mean I have to leave my house. 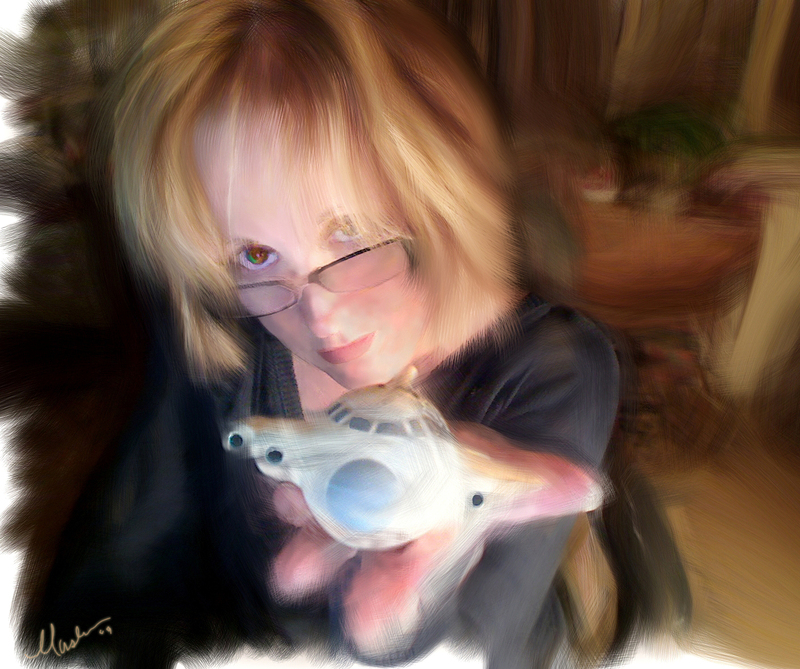 I am serious about learning a painting program I love and becoming more skillful at Photoshop. I decided on making myself practice at least 2 hours a day even if that means shortening my nap after work which is just one hour. It’s that one hour that gives me extra energy after being up at 2am every day with only 4 or 5 hours sleep. Add to that heavy lifting and standing. I am stronger because of the physical work I do, but it’s hard nonetheless. Even the 30 yr olds at work get as beat as I get. I get beat with more pain probably. Pain is part of aging. But going back to the digital art practice – I’ve always loved it – always spent time on it but without a real goal – or plan beyond just enjoying one of many hobbies. What’s become different the last few weeks is I really want to pursue something with it. The plan is to improve and eventually turn a hobby into offering my skills in some way to supplement my income. If I never get good enough to sell art – maybe I can assist someone else. Who knows at this point but what is more true in my life – is that I need some clear path. I need something to fill my head and heart. This year has been hard on me emotionally. I’m still trying to understand all the reasons but I know part of it is loneliness (plus my love of being alone-it’s not all bad-I prefer it). I vow to become more like my mom and that is to not sit around too long but to get out there and use the creative juices that I was born with to become more the person I was meant to be. I’m a creative soul from every fiber of my being. When I sing, play piano, draw, paint or write I am pouring out what I was born to do. Hence the name I use all over the internet. “born2create2” is everywhere. Just noticed my myspace blogs; at one time I had over 200 blogs there, most had that name in the background. UPDATE: Nov, 2015. Here’s why it’s cool to journal. The above was written over 6 years ago. So..How’d I do? Well.. I had 2 more published writings since 2009. I did become an advanced user of Photoshop and Painter, with the painting part lagging some. I have since 2009, purchased and resold 3 Sony cameras, taken dozens of webinars, seminars, photo-walks and joined Photography communities. I have met some amazing people in real life. I finally attended a digital painting workshop where we used real paint (2015). I am a better photographer, photo re-toucher & overall artist than I was. Growth. It never ends – thank goodness. I’m still struggling months after hand surgery to get back to the things I love. I gained weight. I lost heart. I got discouraged at what aging does to the body and the mind. But I am too thankful to be here to stay down long. I usually don’t – I hear a comedy routine, watch a good film, see a photo on my big screen that I thought was going to be garbage and lo-and-behold – it was good! I will only be famous in my own mind and that’s o.k. now. I feel very affirmed this year despite setbacks. And that youtube video with over 70k views got deleted which is hilarious considering there are thousands still out there that did the same thing I did. Alfalfa: By the way, what is a porcupine? Spanky: Aw, you tell him, Buckwheat. Buckwheat: Oh, Porky, you tell him. Porky: Oh, I don’t know. Alfalfa: [sarcastically] Thanks very much, fellas.